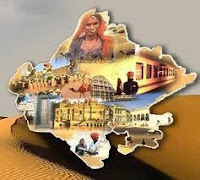 Rajasthan GK Question in Hindi Sample Paper 154: Rajasthan General Knowledge Sample Question Paper with Collection 10 Question of Rajasthan GK Questions for RAS, Rajasthan Police, REET, SI, Contable, Patwari and other state exams under GK Quiz in PDF @ Rajasthan GK Sample Papers. Rajasthan General Knowledge (GK) and General Studies (GS) Questions from various examinations of Rajasthan Govt. and central Govt Examinations. Q.3167. 30वां इंडिया कारपेट एक्सपो अक्तूबर 2015 में किस जगह आयोजित किया जायेगा ? Q.3169. बांग्लादेश सरकार ने "लिबरेशन वॉर अवॉर्ड" सम्मान से जून 2015 में किसे सम्मानित किया? Q.3174. 'तमन्चाशाही सिक्का' राजस्थान में किस रियासत की टकसाल से जारी हुआ करता था?